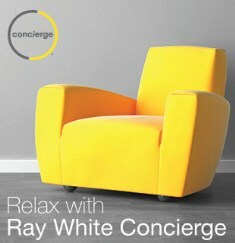 Relax, you’re moving with Ray White Concierge. With Ray White’s unique Concierge service, moving house doesn’t need to be a hassle. With just one phone call we’ll take care of everything. We’ll arrange all of your connections and disconnections, insurance and home loans. And what’s more, as a valued Ray White client – seller or purchaser – our services are absolutely free. As a valued Ray White Alexandra Hills client you will enjoy a number of helpful services that will make the transition to your new property seamless. 30 Days Free Insurance – Our gift to you is 30 days free home and contents insurance on your purchased property. Activate this free gift from either contract or settlement date or any day in between to ensure that your significant investment is protected. As a Ray White client, you are also entitled to ongoing discounts on all your insurance needs. Home Loan Health Check – Through our dedicated home financing arm, Loan Market, you’ll receive a full assessment of your mortgage to check if you’re getting the best possible deal. Ray White Connect – We’ll get your new house connected with all your utilities such as phone, internet, gas and electricity – even pay TV. You let us know your preferred suppliers and we’ll do the rest. At Ray White Alexandra Hills, we’re always looking for ways to add value to our services. Our Concierge initiative is just one way in which we aim to make our clients’ lives a little easier. For more information on how Ray White Concierge can add value to your life, please call Ray White Alexandra Hills on (07) 3824 2700.